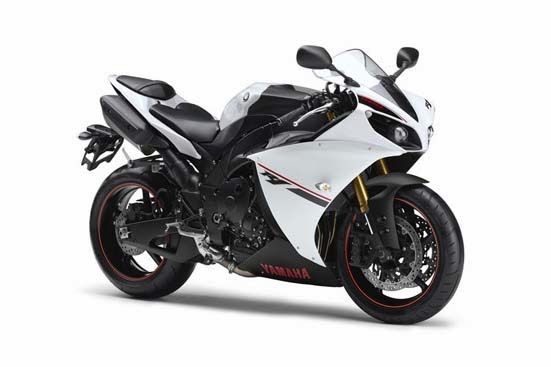 Yamaha back do a refresher on graphic design and new colors on a super bike Yamaha R1 2014, Appearance to look more fresh with graphics and a new color that wrapped around the body. 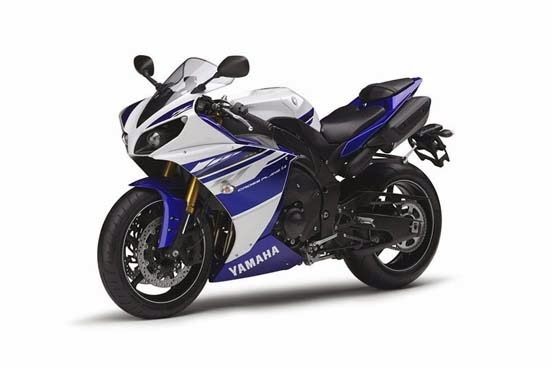 There are two color choices offered to New Yamaha YZF-R1 2014, namely blue color (Deep Purplish Blue Metallic) which is inspired by motorcycle racing Yamaha in MotoGP arena, Yamaha M1 2014 that some time ago introduced two official riders, Valentino Rossi and Jorge Lorenzo. While for the other color variants is the color white (Bluish White Cocktail), for this color variant, white color is more dominant wrapped around the body is decorated with a red stripe on the fairing, the hood and the wheel so the appearance looks more sporty. 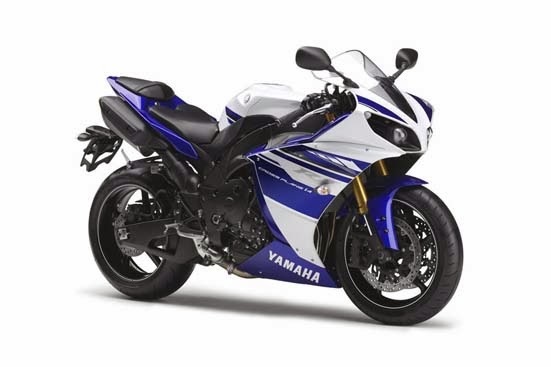 As for the engine, New Yamaha R1 2014 equipped with engines 997cc, 4-cylinder, DOHC, FI, with a 6-speed transmission. With the power 145 hp, at a constant speed of 60 km / h Yamaha R1 is able to cover a distance of 25 km with one liter of fuel. 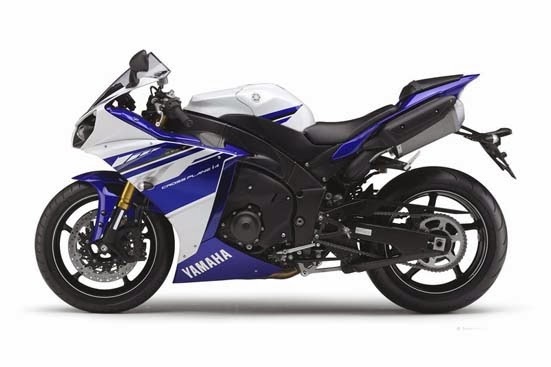 As for price, Yamaha offers YZF-R1 2014, with a tag of ¥ 1.417.500, and will go on sale starting next week in Japan.